Tottenham Hotspur's Eric Dier gave England their first-ever FIFA World Cup penalty shoot-out victory as they edged past Colombia to reach the quarter-finals in Russia. 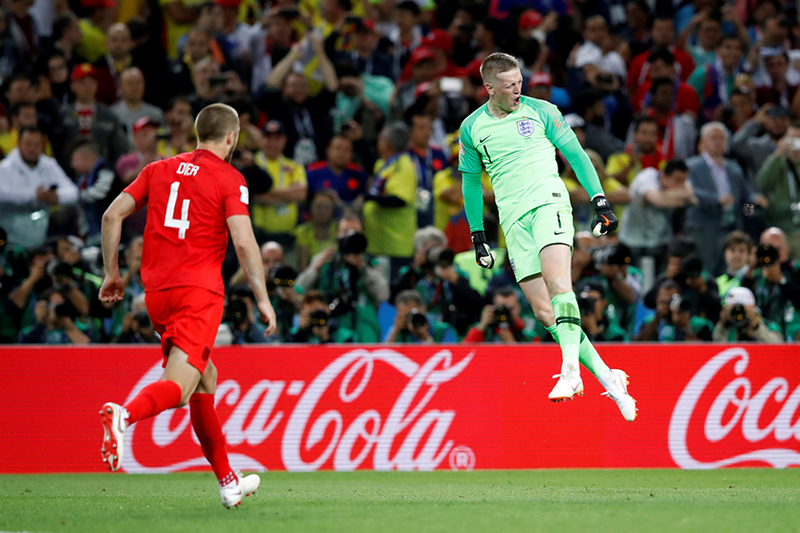 Everton goalkeeper Jordan Pickford superbly saved Carlos Bacca's spot-kick to set up Dier's final say, sealing a 4-3 shoot-out win after a 1-1 draw. Spurs' Harry Kane put England 1-0 up in the second half of the regular 90 minutes, scoring a penalty past Arsenal's David Ospina. Kane's strike put him on six goals for the tournament, putting him two clear of Manchester United's Belgian striker Romelu Lukaku in the race for the Golden Boot. Yerry Mina forced extra-time with a stoppage-time header. England will meet Sweden in the last eight, after Man Utd's Victor Lindelof helped them earn a clean sheet in a 1-0 success over Switzerland. Their quarter-final tie will be in Samara, Russia, at 15:00 BST on Saturday 7 July.